Sunday family dinners + my cousins, aunts and uncles = my fondest childhood memories. Sharing food and spending time around the dining room table together builds an amazing foundation of family ties, togetherness and memories. Lemon Pepper Chicken with Roasted Garlic & Lemons will be the perfect dinner for your next family gathering. 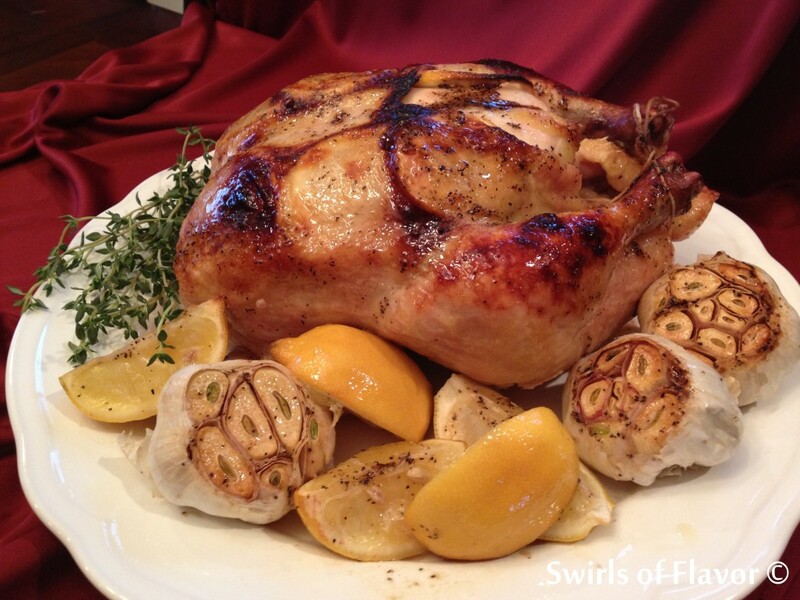 A roasting chicken, seasoned with flavored butter and lemon slices, is surrounded by heads of garlic and lemon wedges. 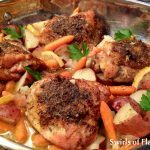 All roast together to fill your home with fabulously delicious Swirls of Flavor! 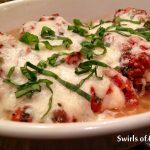 Start cooking and building your family’s foundation of delicious memories! 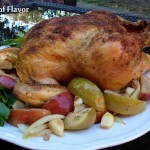 1 roasting chicken, 6-7 lbs. 1. Preheat oven to 350F. For easy cleanup, line roasting pan with foil leaving 2-inch overhang. Place chicken in prepared pan. 2. In small microwave-safe bowl melt one square of flavored butter. 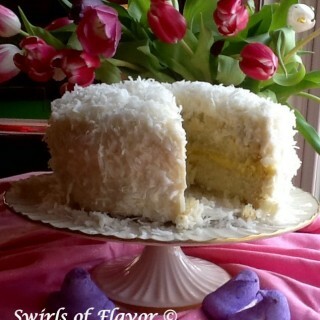 Thinly slice one lemon crosswise into rounds. 3. Dip lemon slices in melted butter to coat. 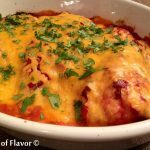 Arrange in single layer under skin of chicken. 4. Cut remaining lemons each into 4 wedges. Arrange lemon wedges and garlic heads around chicken in roasting pan. 5. In small microwave-safe bowl melt remaining square of flavored butter. Brush melted butter over chicken, lemons and garlic. 6. Roast until meat thermometer inserted in thickest part of chicken registers 180F, about 20 minutes per pound. Let stand 10 minutes before carving. 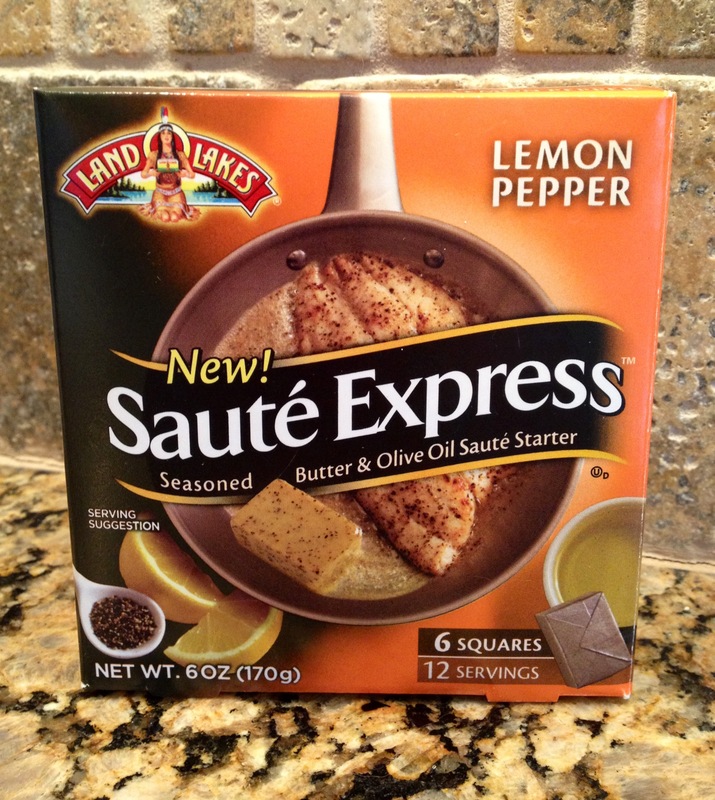 * Land O Lakes now has flavored butters that make dinnertime a snap! 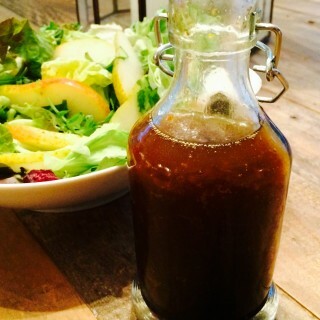 I used Lemon Pepper in this recipe. 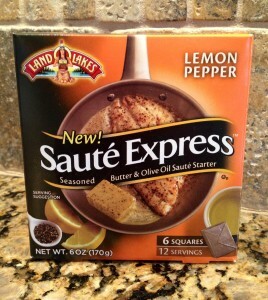 Other Saute Express flavors include Garlic & Herb, Italian Herb, and Savory Butter & Olive Oil.